Cotton is harvested from cotton plants, spun into yarn and used to make a soft and breathable fabric. Cotton is Lindex most commonly used fibre and today 49 per cent of our assortment is made from cotton. Our goal is that 100 per cent of our cotton comes from more sustainable sources by 2020. Cotton is a resource intensive crop and it requires approximately 15 000 litres of water to cultivate 1 kg cotton. Most of the world’s cotton is still grown conventionally that requires a lot of water, energy and chemicals such as pesticides, which can have a negative impact on the environment. Some of the largest countries in producing cotton is China, India, USA and Pakistan but there is a challenge regarding traceability of conventionally grown cotton because the cotton is often mixed at trading point. We have a regular dialogue with our suppliers and organisations to improve the traceability of conventional cotton but there is no established method to trace its exact origin in a reliable way. Organic cotton and recycled cotton comes from systems that works to ensure traceability. Because of the environmental impact as well as the traceability challenges we have set our goal that 100 per cent of our cotton comes from more sustainable sources by 2020 and today we are at 95 per cent. Below you can read more about our more sustainable alternatives Better Cotton, organic cotton and recycled cotton, as well as the GOTS certification on organic cotton garments. Better Cotton Initiative (BCI) is a non-profit organization that aims to make global cotton production better for the environment and for the people who produce it. The initiative focus on a worldwide transformation of conventionally grown cotton which will have a great effect on our environment. Lindex has been part of BCI since 2010 to contribute to improving conventionally grown cotton. Better Cotton is not organic, but is grown in a more sustainable way than conventional cotton. The Better Cotton farmers are educated in how to treat the soil and use the right fertilisers and pesticides in smaller quantities. Better Cotton farming is better for the environment with use of less water and chemicals, better for the farmer that is exposed to less chemicals and saves money for the farmer who has to spend less on fertilisers and pesticides. Better Cotton garments are labelled with the Better Cotton logo and the labelling means that the garment is within the Better Cotton system. Today Better Cotton is not traceable and it is not possible to define the exact percentage of Better Cotton that a garment contains, since the system allows Better Cotton to be mixed with conventionally grown cotton. However, when buying a Better Cotton garment, you support the initiative and its long term commitment for worldwide transformation. Organic cotton is grown with consideration for the environment and the people who produce it. With organic cotton the negative impact is reduced since it sustains the health of soils, ecosystems and people by using natural processes rather than artificial inputs. No genetically modified crops or toxic chemicals such as chemical pesticides and fertilisers are used in the cultivation of organic cotton. Organic cotton requires less water, less energy and improves the health for the cotton farmers and their families since they are not exposed to toxic chemicals. You can read more about organic cotton and its benefits on Aboutorganiccotton.org. 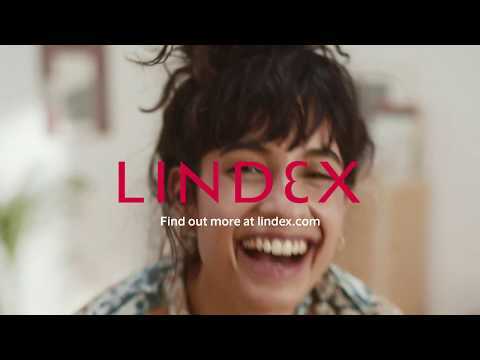 Lindex is one of the top ten users of organic cotton worldwide and most of the organic cotton we buy comes from India and Turkey. Today 64 per cent of our cotton is organic and 100 per cent of our newborn assortment is made from organic cotton. All organic cotton purchased by Lindex is certified according to Textile Exchange Organic Content Standard. The certification is made by an external party, such as Control Union, and exist to provide credible assurance that the organic cotton is really organic and ensures its traceability. 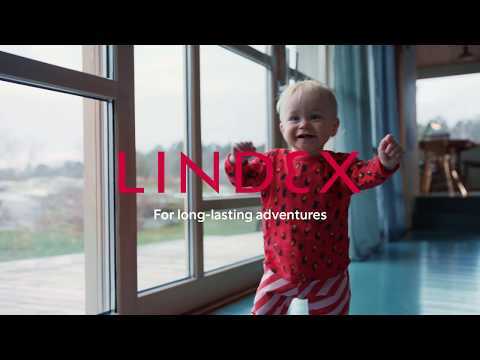 Lindex garments labelled with Organic Cotton always contains 100 per cent certified organic cotton. Garments labelled Organic Cotton Blend contains certified organic cotton mixed with Better Cotton and conventional cotton and the share of organic cotton is specified in percentage on the label. Many of our organic cotton garments are certified according to the Global Organic Textile Standard (GOTS), a standard that certifies the organic status and ensures traceability of the organic cotton. The standard also includes social and environmental requirements for all production stages, from fibre to finished product. All production facilities involved in the manufacturing of a GOTS product are certified by an external party, such as Control Union. The facilities receives a Scope Certificate which is revised every year. All stages in the production of a product are not performed at the same place, instead there are several suppliers conducting different stages of the process. All stages are GOTS certified according to the standard. At every transaction, such as when a yarn manufacturer buys cotton or a fabric manufacturer buys yarn, a GOTS certificate for that specific process is passed along with the product. When there is a finished product there are certificates for each step in the process, ensuring responsible production from fibre to finished product. All chemical inputs used, such as dyestuffs, process components and prints, must meet certain environmental and toxicological criteria in the standard. Packaging material must not contain PVC. Paper or cardboard used in packaging material, hang tags etc. must be recycled or certified with origin from responsible forestry. The social criteria in the standard based on the key norms of the International Labour Organisation (ILO) must be met by all processors and manufacturers. The choice of accessories is limited in accordance with environmental aspects. GOTS garments are labelled with the GOTS symbol on the hang tag. With the labelling, the customer is provided with credible assurance that the organic garment really is organic and that it has been responsible produced. Recycled cotton is either left over material from production or used textiles that has been given a new life by being torn, re-spun and knitted or woven into new material. Using recycled cotton saves raw material and uses less chemicals, water and energy in production. All recycled cotton purchased by Lindex is certified according to Textile Exchange Global Recycling Standard or Textile Exchange Recycled Claim Standard. The certification is made by an external party, such as Control Union, and tracks recycled raw materials to provide credible assurance that recycled cotton really is recycled. In order to retain the quality, recycled cotton must be blended with new cotton or other material. Using recycled cotton is an important step towards reducing the environmental impact and closing the loop. Post-consumer recycled cotton origins from textiles recycled by consumers. By using post-consumer recycled cotton, old garments that normally would have gone to waste can become part of new garments. Recover® is a brand name for an upcycled regenerated cotton fibre from old clothing and cutting scraps. Recover® cotton is produced using less water and chemicals required for conventional cotton fibre.